Great location and facilities. The hosts were wonderful. We had a fantastic time. I would highly recommend Belle Vue. George and Fofi were excellent hosts, and made this a great place to stay! George gave us some great recommendations the first day about the area around the hotel and some restaurants nearby. The room we had was very spacious with a great view from the balcony. It is pretty easy to walk down to the closest beach (less than 10 min), but a steep walk up - so be careful if it's hot. The beach was decent and not too crowded in September, especially compared to the main beach in Agia Pelagia. We weren't huge fans of Agia Pelagia, but appreciated the proximity to Heraklion & surrounding areas. 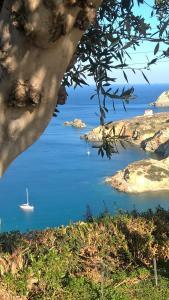 My recommendation would be to eat dinner in Heraklion or somewhere with better restaurants, though there was a nice place where we ate lunch at the closest beach. There is a breakfast buffet available for 6 euro per person, which was very convenient as well. Hosts are absolutely wonderful kind and thoughtful. Hilltop location. Wonderful views. Quiet and very relaxing. Lovely pool outside our door. Nice spacious bungalow room and the warnest, friendliest, most helpful owners we have ever stayed with. Our room was cleaned beautifully every day with clean towels daily and regular changes of bed linen. We were even offered an extra quilt when the evenings got cooler. We ate on site a couple of evenings and loved Fofi’s cooking, especially the dorade! Amazing hosts. George and Fofi were very accommodating and helpful with anything. Great recommendations and guidance to island. 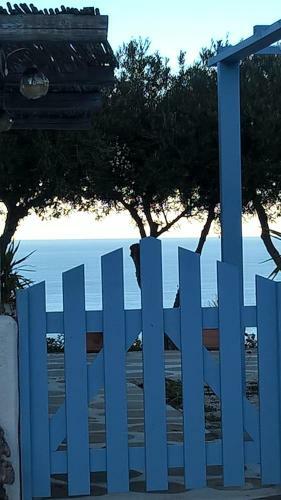 We stayed in a beautiful traditional room with stunning views of the sea from the patio. Very spacious rooms beautifully decorated giving the room character. The pictures don't do it enough justice. Would definitely stay here again. George and Fofi are brilliant, warm, welcoming hosts who gladly go the extra mile to make your stay comfortable. The location is tucked away and that was exactly what we wanted. Our apartment had lots of outdoor areas, each offering something a little different and each got used thoroughly during our stay. When we wanted to hire a car, George hooked us up with a local service who beat the price of online quotes, they even picked us up and dropped us off from Bellevue. Fofi sorted us out with a parasol for the local beach, which was far more our scene than nearby Agia Pelagia. If you want a quiet retreat, this place is perfect. 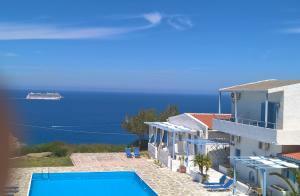 Lovely quiet resort on top of the hill with amazing views over the two villages and bays. George and Fofi are wonderful hosts and did everything to make us feel at home. Their home cooking is truly wonderful and tasty. We had the traditional room which is right next to the pool. The apartments are spacious and beautifully decorated, the kitchen well stocked. George was kind enough to give us a lift to the bus stop on both occasions where we wanted to go to Heraklion otherwise its a bit of a slog up the lane to the treacherous main road! We very much enjoyed our weeks relaxing stay here. George and Fofi are wonderful hosts. Very helpful and accommodating; they arranged a transfer from the airport and stayed up to welcome us after hours when we arrived. The property is amazing! 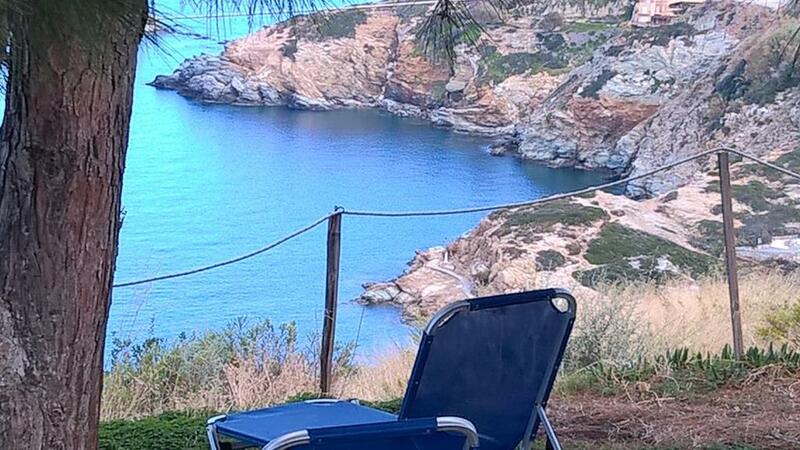 Set in a grove of olive trees, overlooking a stunning view of the coastline. Beautifully-decorated and large rooms, all with private balconies. George was always smiling and gave us some great tips for places to visit. If you have the opportunity to eat in their restaurant, take it! Fofi’s cooking is delicious. We definitely hope to return. Lock in a great price for Bellevue Village – rated 9.4 by recent guests! Accommodations at Bellevue consists of rooms, apartments, studios and bungalows decorated in an island style. Each offers a private entrance and a balcony or terrace with views of the sea, the pool or the garden. Bellevue Village also provides free parking area, a tavern for breakfast or dinner. Within a 5-minute walk, you can reach the beach, as well as the nearest bus stop. Bellevue Village is located 9.3 mi west of Iraklion Airport and just 0.7 mi from the center of Agia Pelagia, with shops, bars and restaurants. When would you like to stay at Bellevue Village? Featuring a sea-view balcony, this open-plan studio has a kitchenette with kitchenware. Please note that air conditioning is available and its use is subject to extra charges. Featuring a separate seating area. Featuring more space and a separate seating area. Opening to a balcony with sea views, this apartment features a private entrance. It is fitted with a satellite TV and a kitchenette with refrigerator. Offering more space, this air-conditioned suite comes with a balcony and patio with views over the sea and the surrounding area. It also features a satellite TV and a seating area. 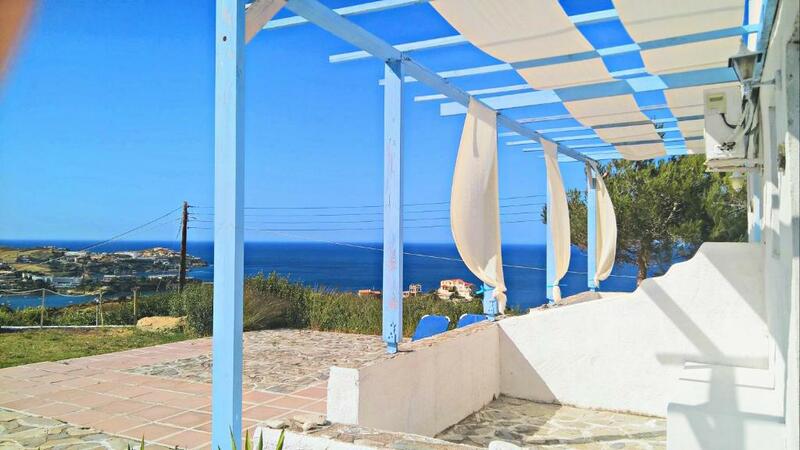 Opening to a balcony with sea views, this air-conditioned bungalow features a satellite TV and a kitchenette. Hello my name is George James Pantouvakis. Born in England(Brighton) Came to Greece when i was 6 years old. Build with my familly slowly a small complex of apartments& rooms in the center of Crete near the fishing village of agia pelagia. Like to read books and hear good music. During the winter I am a farmer, i have olive trees in Bellevue and two other places in Crete and we produce our fine organick-ecological olive oil, That we use for our cooking in our small tavern in bellevue (read reviews about our famous musaka and Kleftiko, roast Lamp etch )also we sell it in the olive oil market We also produce white wine( the Villano sort )and dry red wine and of course I must mention the secret production in end Octomper of our famous Crete Raki. (see photos We would like to share with you a unique place in a small corner of heaven. Guests are always welcome in Bellevue. I consider guests as my friends above all. Owning Bellevue has given me the opportunity to meet so many people from all over the world - some who have become dear friends. I look forward to meeting and hosting you at Bellevue!!!!!!!!!!!!!!!!!!!!!! 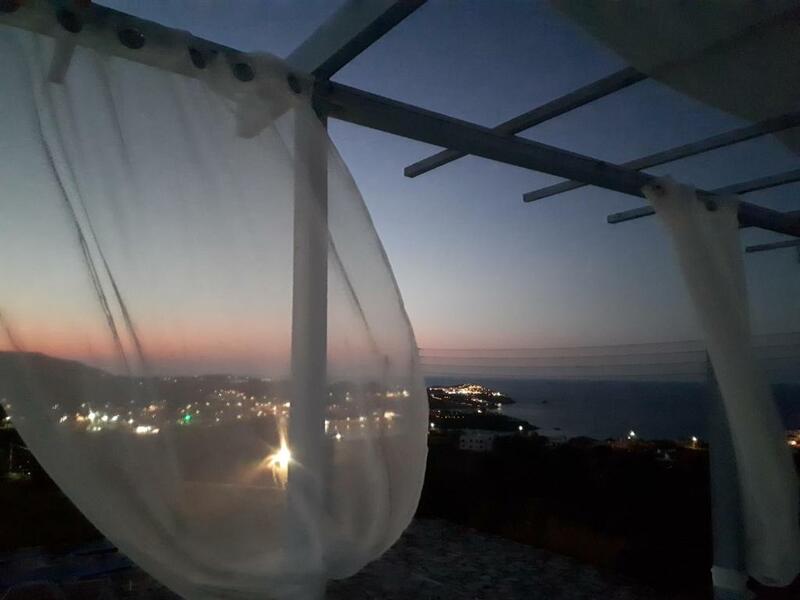 If you are looking for a traditional place to relax overlooking the Panoramic Sea View, to feel the Cretan hospitality.Away from the mass tourism resorts,Then Bellevue is the perfect place for you! 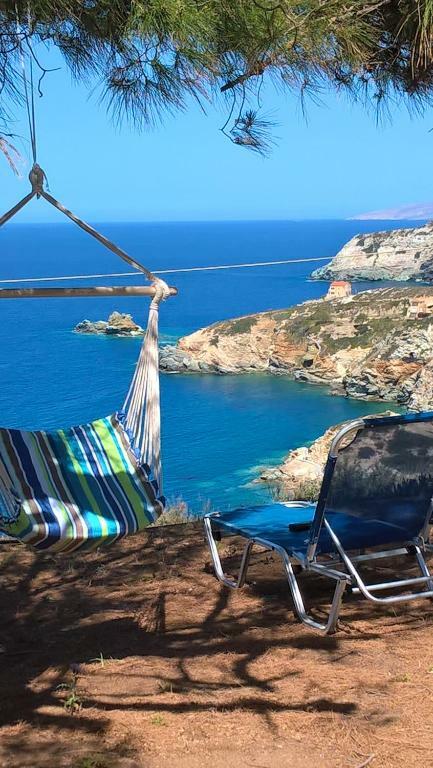 !If you want to explore Crete it's also the perfect point because it's in the center of the island 1min by car from the National road HERACKLIO-RETHIMNO is just 14min about by car from Heraklio. 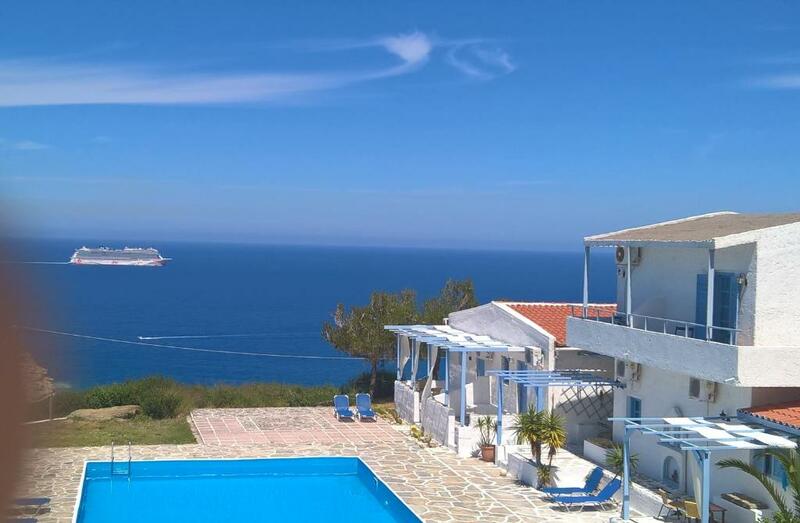 Belevue is a complex of suites and appartments on elevate position on the hill exactly over Lygaria bay,in7000qm.land and is surouding by olive trees and creta herbs!From the big swiming pool area you can overlook the bay of Ag.Pelagia , Lygaria and Dias island. In our traditional taverna with the amazing view every morning you can have breakfast in buffe and every evening we make traditional greeck specialites with our products and our familly WINE!Lygaria Beach it's just 5-6 min.walk from our private natural path and you can have nice time there ,swimming,fishing,walking or making Watersport... Belevue it's a romantical place ideal for honeymoon ,weding aniversere...but also when you are alone and you are alone and you want just to relax!!! House Rules Bellevue Village takes special requests – add in the next step! Bellevue Village accepts these cards and reserves the right to temporarily hold an amount prior to arrival. Please note that an iron can be provided free of charge upon request. Due to its hillside location, the property is not suitable for guests with mobility issues and children under 12 years old. Please inform Bellevue Village of your expected arrival time in advance. You can use the Special Requests box when booking, or contact the property directly using the contact details in your confirmation. For us, nothing could have been better. It wasn't an issue for us at all, but the location is quite remote. There are two small supermarkets within a 8 minute walk, one being at Lygaria beach. The walk down to the beach is fine, coming back up, it could be taxing for those with mobility issues. For us it was a welcome workout after a delicious meal. 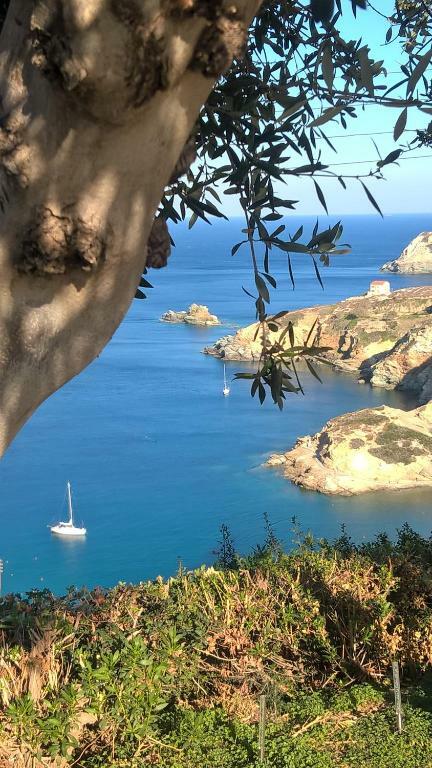 It's a steep walk down to the two villages Agia Pelagia and Ligaria. Ligaria is the closest and the quietest and less crowded beach. Both villages are lovely with plenty of restaurants and supermarkets. Even though it doesn't take long to walk down its a stiff slog back up the hill! The walk to the bus stop is not close and the main road is quite scary to walk along as Crete drivers are crazy! To be honest your best having a car if you stay here as its quite remote. The bed is very hard (but some people might like that) and the wifi was a bit spotty, but these things didn't really affect our overall experience. If you don't like walking, then this place is not recommended. Everything was great. Spectacular views. absolutely wonderful host. Just a dream holiday. One or two more utensils in the kitchen for those wanting to do their own cooking. A chopping board for instance, would have been helpful. The owners are amazingly helpful and responsive. The food is excellent and great value. The whole place has an air of peace about it. The pool is great and it's not too far to the beach. The wind blew a lot, but nothing anyone could do about that! Beautiful views, lovely hosts, quiet and peaceful, lovely accommodation. 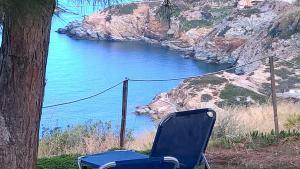 If you are looking for somewhere to stay that is peacful, quiet and full of Greek charm then this is the perfect accomadation. George and Fofi who own and run the hotel are two of the nicest people you will have the pleasure to meet and will make you feel like you are in your home away from home. Its a 10 / 15 minute walk to the nearest beach and town and a little further to Agia Pelagia. Well worth a vist! This place is very peacefull and have a absolutely stunning view - It is built in a Greek stile with lots of Charms. George and Foki were both up (2 o clock in the night) to receive us, and gave us a varm welcome. The cleaning was perfect - everyday cleaning - not a spot missing. George and Foki was very helpfull - they had time to tell you, how the area was, where it was good to walk - allways in a very friendly and polite way. We only had dinner there once - the last evening - and it was tastefull and delicious - We should have done it more. If you are looking for greek charm - quite time - stunning view - Bellevue is the place. We will return to this Greek-pearl.